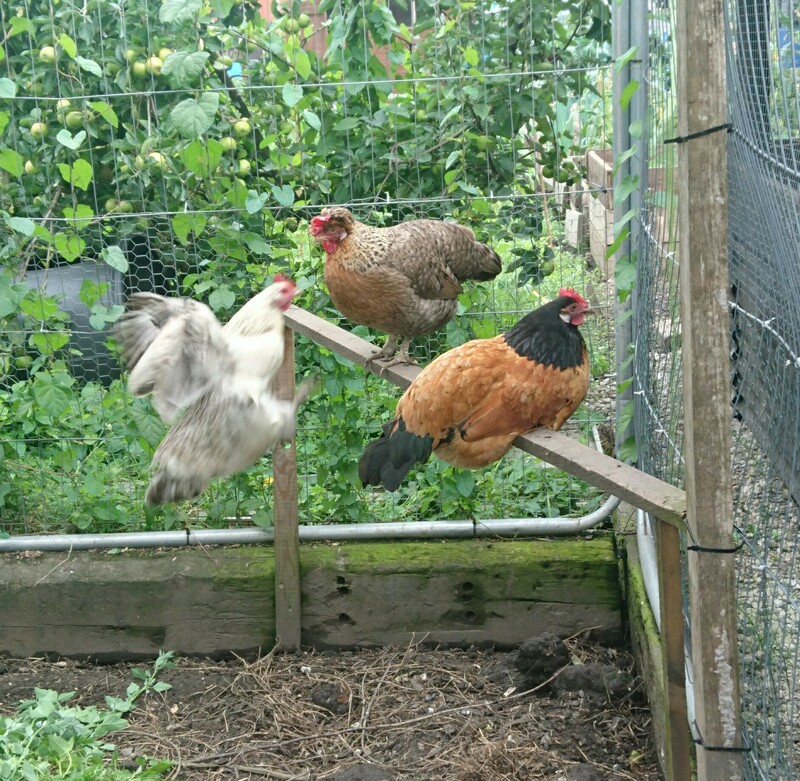 Ambled down the allotment this morning to feed the chickens – Evie is still being grumpy and attempting to be broody. 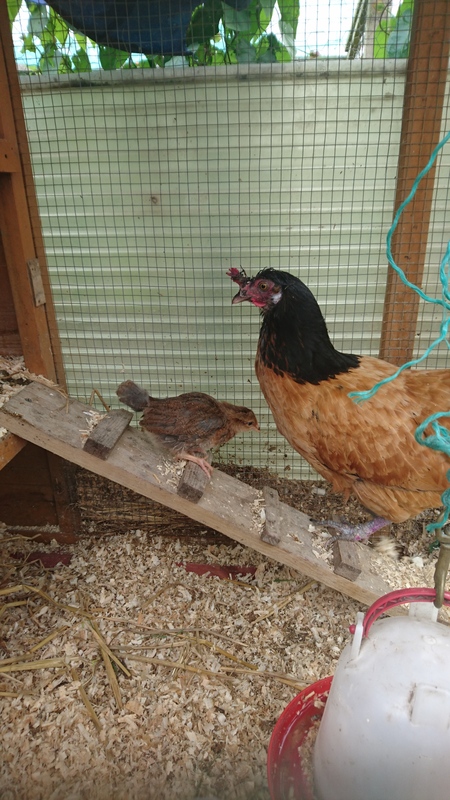 I am not convinced – she is a Warren and very old so it’s unlikely she is actually broody. I plan to check with Geoff tomorrow about her. 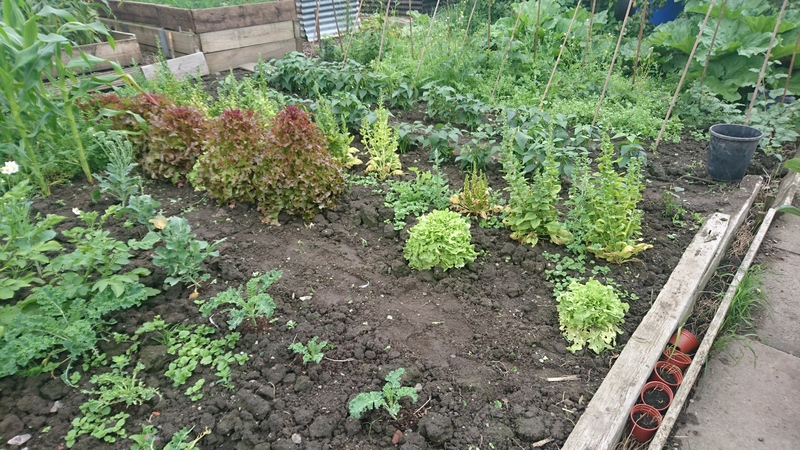 I have also begun to clear the mass of weeds hiding our produce at the bottom of the plot. 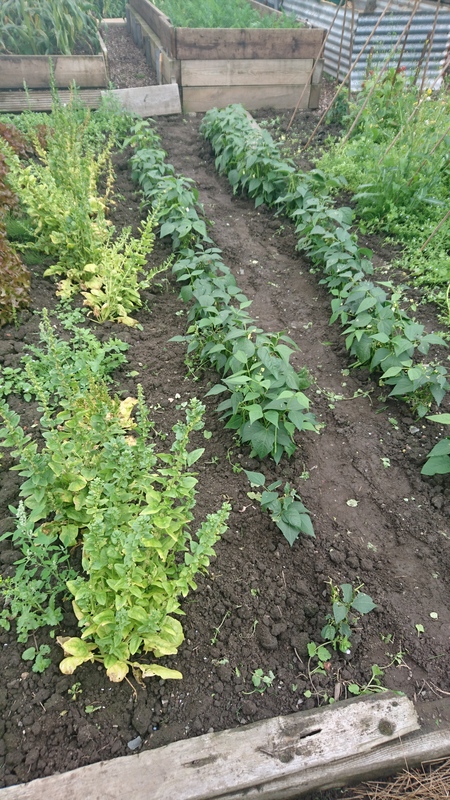 The spinach, French beans and Berry bushes have come off worse and we’re almost completely buried by an unending array of weeds. I chose a section to weed and blasted through it. 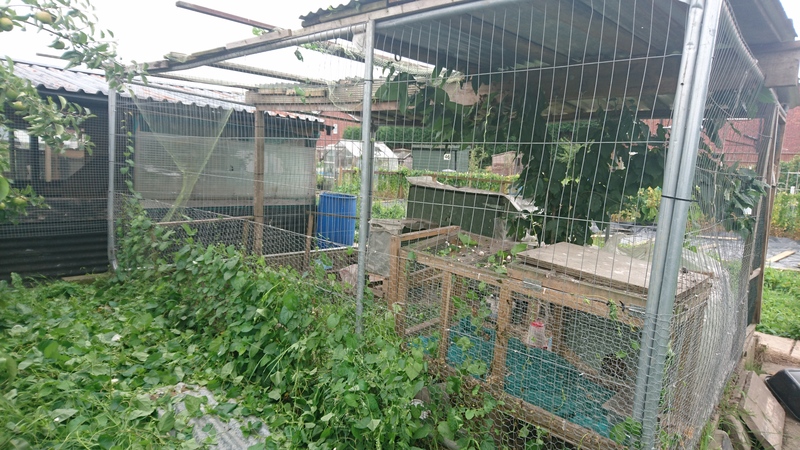 I managed to clear off some bind weed from the main coop as it’s sneaky tendrils wrap itself around every thing it can. It gives the coop a lot more light and hopefully the chickens will enjoy it more now. 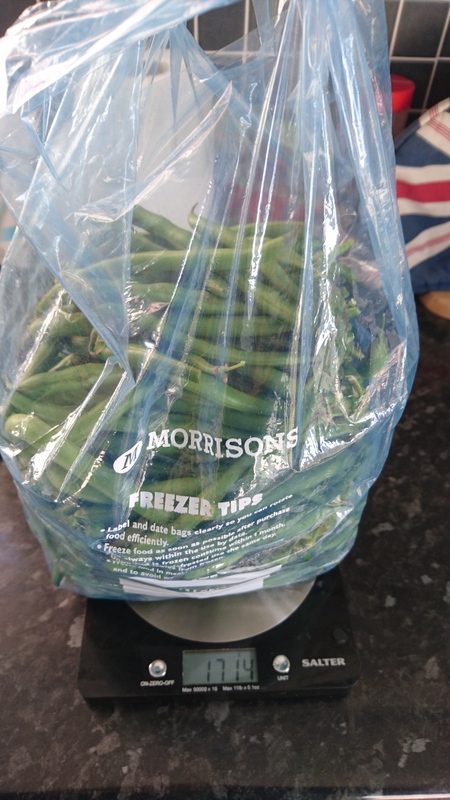 Next I went around the newly excavated French beans and harvested a huge amount of beans – I couldn’t quite believe how much these plants had produced! Over 1.5kg! 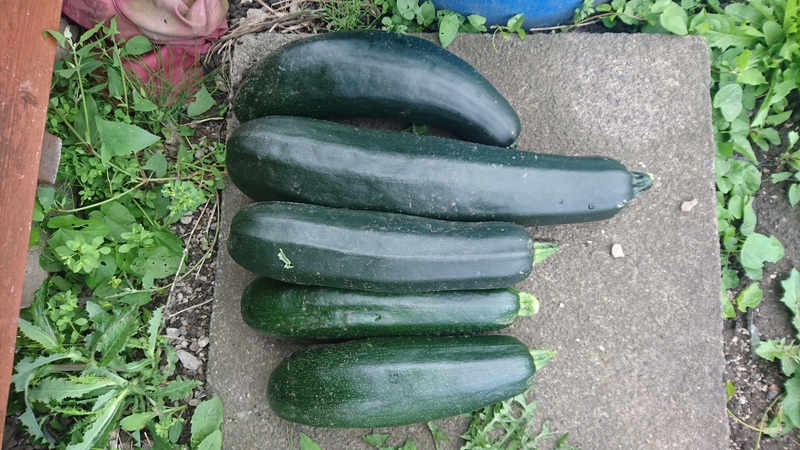 I also picked several courgettes which resembled large marrows which we will keep somewhere cool and dark to give the chickens over the winter. Half a marrow/large courgette is a great way to ensure the chickens have greens during the winter without having to buy in greens which can become quite expensive. 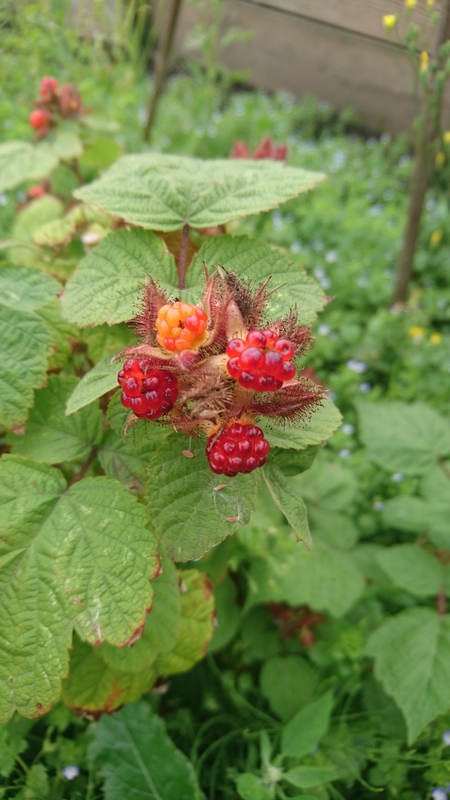 On top of this haul, it looks like the wineberry bush has done well – showing several clusters of bright red berries. They are rather a weird shape (more like a o) but tasty! 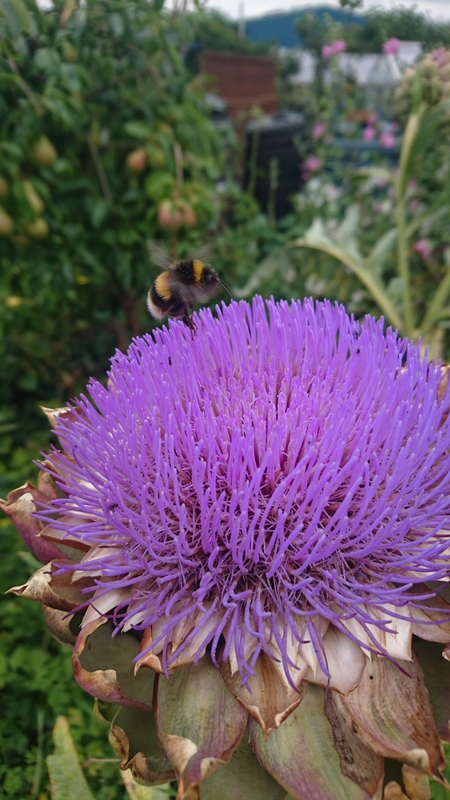 I went for a short walk around the site, to see how other people are getting on when I swathes lovely bumble Bee collecting pollen from an artichoke – all the bees seems to adore it!